If this was a boxing match, Ducati Philippines would have won by a knockout. 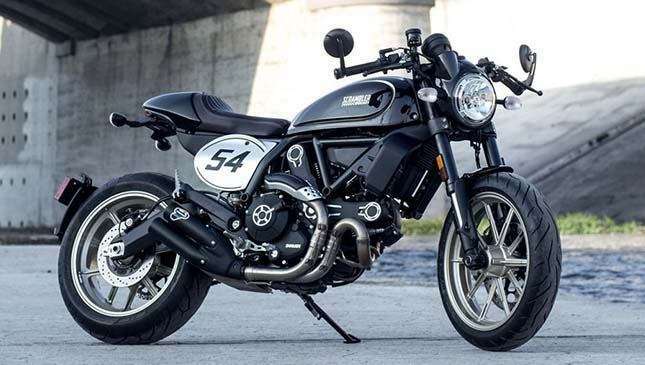 The Italian brand threw a combination of three solid punches against its competitors in the premium motorcycle segment last night, May 10, as it unleashed three of its latest power products: the SuperSport 959, the Scrambler Café Racer and the Scrambler Desert Sled. Since these bikes' debuts at the 2016 Milan Motorcycle Show, Pinoy motorbike enthusiasts have been itching to see them in metal. And the long wait is finally over. To start with, drool over the new Ducati SuperSport 959 which was among the new and exciting bikes of 2017 that appeared on the crystal ball of Moto Sapiens, when it predicted its arrival on Philippine shores this year. Nine other motorbikes from the Milan show that we deemed salable in the country were also featured on Top Gear Philippines’ 2017 Roll-Out issue. 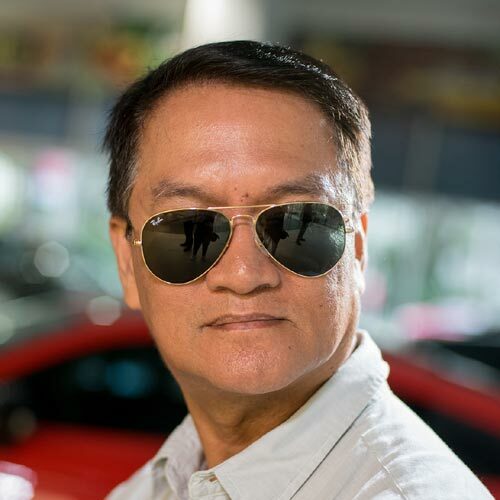 Ducati Philippines president and CEO Toti Alberto took pride in introducing this street-based sport bike deemed as more versatile, practical and affordable than the Ducati Panigale super sport bike. The Ducati SuperSport has a tamer engine that is perfect not only for track use, but for the daily street commute as well. 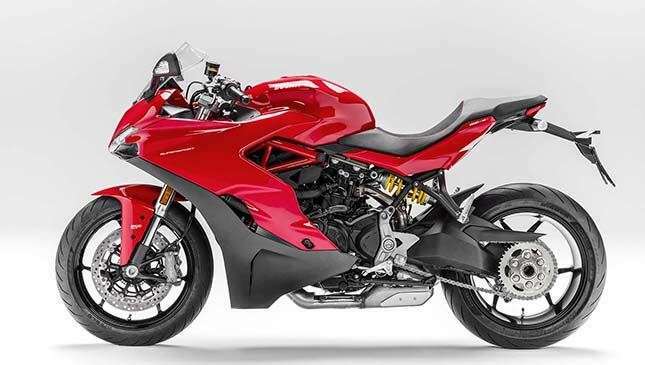 The new SuperSport is powered by a 937 Testastretta 11-degree twin-cylinder engine mounted on a new trellis frame. 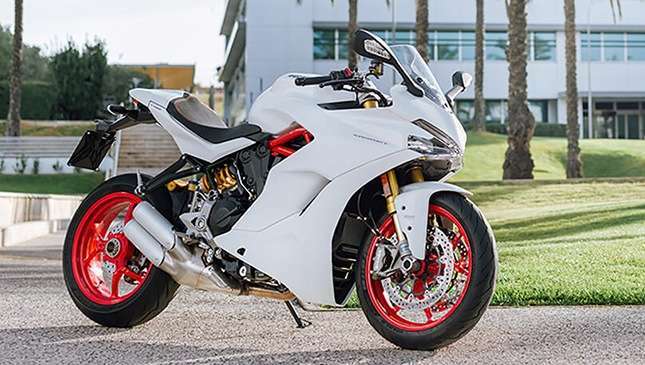 This gorgeous Italian brute has a claimed maximum power of 113hp at 9,000 rpm and peak torque of 97Nm at 6,500 rpm, making it a quick and nimble track bike. However, its raised handlebars provides an upright riding position that is good for street rides. It's available in two variants: SuperSport (red) with a P910,000 price tag and SuperSport S (white) with a P999,000 asking price. 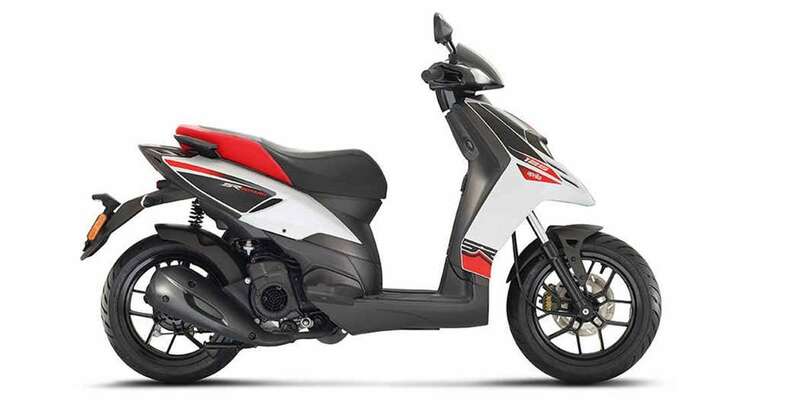 Both models are equipped with three riding modes, power mode, Ducati Safety Pack (Bosch ABS + DTC), ride-by-wire, full-LCD display, DRLs, adjustable windscreen, Ducati Quick Shift (DQS) up/down, passenger seat cowl, and anti-theft system. However, the SuperSport S comes with a major plus—an Öhlins race spec suspension at the rear. Perfect for average-sized Filipino bikers, the SuperSport’s seat height measures 80.8cm (31.8in) compared with the Panigale 959’s 83.6cm (32.9in) and the more aggressive Panigale 1199 with 82.4cm (32.4in). The Ducati Scrambler family keeps on getting bigger and better. With the Café Racer now included in its lineup, retro style fanatics will surely go nuts over this classic piece which is a true expression of free spirit. With its Black Coffee color, old school teardrop tank, clip-on handlebars and bar end mirrors, the Café Racer turned out to be the hottest among the Ducati’s products on display at the UP Town Center that night, as mall-goers took quick selfies beside this iconic machine. The Café Racer fully retained the Scrambler’s punchy 803cc L-Twin, Desmodromic distribution, two valves per cylinder, air-cooled engine. It’s now equipped with a Termignoni exhaust with double silencer, new design single seat, and a set of Pirelli Diablo Rosso II tires with 17'' aluminium wheels that create an impression that it’s always ready to rock on! Hello rockers! Are you willing to shell out P805,000 for this legendary bike? With adventure travel steadily rising in almost all corners of the country, the new Ducati Scrambler Desert Sled showed up with perfect timing. With its commanding stance, high ground clearance, and solid engineering, the Desert Sled is ready to take the rider anywhere the road ends. 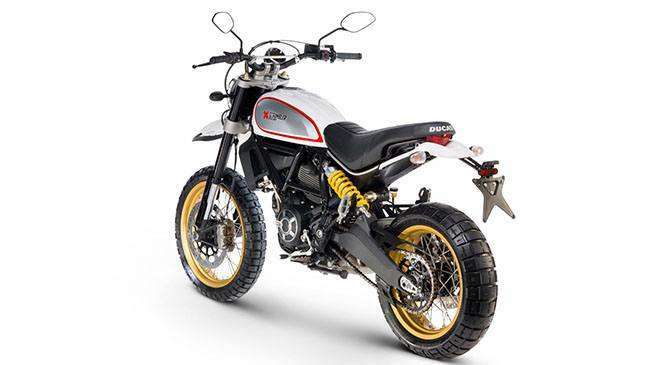 Designed as an enduro bike, it can be easily distinguished from other Scrambler variants with its high front mud guard, wide aluminum handlebars with cross-strut, dedicated ribbed seat, and a pair of Pirelli Scorpion Rally STR off-road rubbers. It takes the rugged roads with ease with a fully adjustable 41mm Kayaba inverted fork that added two more inches of suspension travel, for a total of 7.9 inches. The new rear shock has a piggyback reservoir with adjustable preload and rebound. Higher ground clearance equals higher seat height, which now stands a towering 33.9in. Many Pinoy riders will find themselves struggling for balance on the Desert Sled. Those who love to ride on dirt and rugged stretches may bring home this brute for P805,000. Are you now more confused on which to choose among these three? Stop, breathe and think!